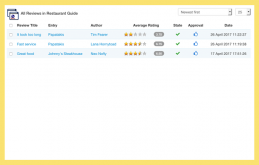 The SobiPro Review and Rating Application allows to extend your SobiPro directory to a fully featured review site. 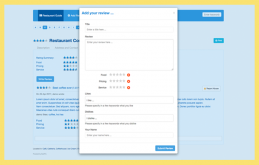 It will allow you to set up ratings for several different criteria, as well as allow visitors to list likes and dislikes along with the review. 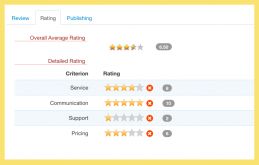 Reviews can be edited from front-end by either the reviewer, the entry owner or a moderator. 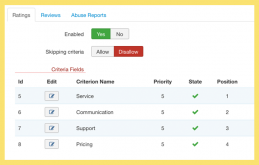 Remarks: To use the Report Review function and to send out emails, the Notifications Application has to be installed! If you update the Review and Rating application from a version below 2.2, you need to delete the files '/common/reviews.xsl', 'css/review.less', 'css/review.css' and the folder 'review-rating' from your section template. Then go to the Review and Rating configuration screen. 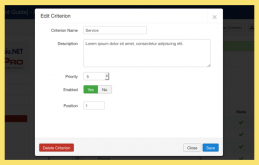 This will copy the new template files to your section template. 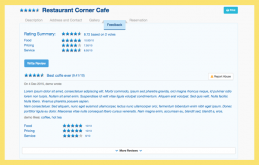 If you have modified the Review and Rating template files, you need to adapt your changes to the new template files. 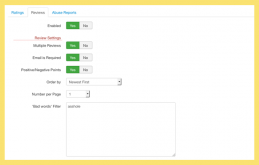 Review and Rating application version 2.2+ does NOT work with the old template files!